Wondering what this line from a Gaana song is doing on the Namma Area Blog? 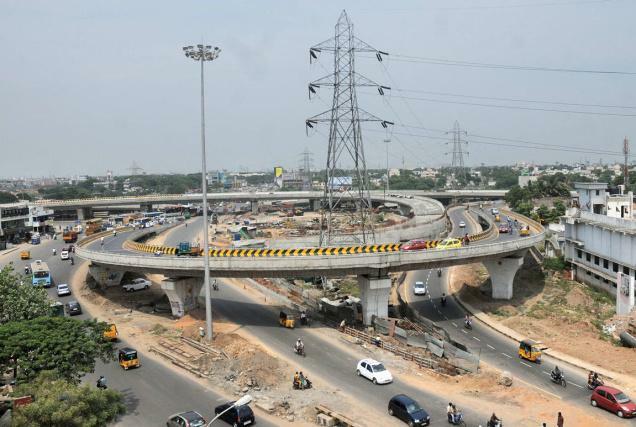 Koyambedu – The mere word conjures up images of the mofussil bus terminus, vegetable and fruit market, the huge, maze like flyover and above all, snarling traffic. That is Koyambedu today! In 1995, a year before the fruit and vegetable market was inaugurated, making Kothwal Chavadi lose its glamour, Koyambedu was well known for its SAF Games Village- an exclusive settlement created for the participants of the South Asian Federation Games in Chennai. Today, that settlement comprising 760 flats, houses State and Central Government officials and IAS officers. But I am going to take you several centuries back in time, two yugas behind, and make you look at Koyambedu then! How does it sound? At that time, Koyambedu was not a separate locality. It was part of Sage Valmiki’s ashram. The ashram, thanks to the absence of Land Ceiling Act then, stretched from Thiruvanmiyur (Thiru + Valmiki+ Oor) which is still named after him, to Siruvapuri and beyond. Rama returned to Ayodhya after the Lanka War, and was ruling over it with Sita as his queen. When he heard one of his countrymen (a dhobi) comment about having a woman who had spent a long time in another man’s custody as his wife, Rama asked Lakshmana to take a pregnant Sita to the forest and leave her there. This he did, knowing that truth will take its own course in proving its strength. Sita, who was left alone in the forest, was brought by Sage Valmiki to his ashram and soon the two princes, Lava and Kusha were born. Yes, they were born right here, in Koyambedu! The little boys soon grew up and became the disciples of Sage Valmiki. The sage taught them archery and wrestling, apart from the scriptures and Vedas. At this time, Lord Rama was aspiring to perform the Ashwamedha Yagna and sent out the ceremonial horse along with his chosen men around the country. When the horse entered Sage Valmiki’s ashram, the two boys caught the horse, and tied it up to a tree. Not just that, they built a fence of arrows around it so that no one could take the horse away without fighting them. This was how the particular location came to be known as Ko (horse)+ Ambu (arrow)+ Pedu (fence). Lakshmana and the soldiers came into the ashram in order to retrieve the horse. But they were no match to the little soldiers. Soon the boys had them rounded up and tied. When Rama heard about this, he was surprised and came to rescue his brother and soldiers. The young boys not knowing that it was their father started showering arrows at him. When Rama took out his Rama Baana and aimed at the children, Sage Valmiki intervened and introduced them to each other and thus the family was reunited. The place where the young Lava and Kusha fought against Rama is still on the outskirts of Chennai and is called Siruvapuri (Siruvar (children)+porpuri(act of fighting). In order to overcome the sin of attempting to fight their own father, Sage Valmiki asked them to worship Lord Shiva. The two small boys with their little hands made a shivalinga and worshipped him. The lingam turned out to be small, like an overturned earthen lamp and to this day is called Kuchalavapureeswara or Kurungaleeswara. Right next to the Kurungaleeswara Temple stands the Sri Vaikundavasa Perumal Temple. It is here that the two boys were blessed by Lord Vishnu. This temple has several unique icons that one cannot see anywhere else and which give clear evidence to the story above. As we enter the temple, we see an icon of Rama wearing the Maravuri (costume made out of wood bark, usually worn in the forest) and the usual Lakshmana and Sita not found next to him, depicting that he came alone looking for his men, and wore the costume that one would normally wear in the forest, sympathizing with his wife whom he thought was still in the forest. A visibly pregnant Sita can be found on the way to the Sanctum Sanctorum, wearing her hair in a loose knot, as she would have in a Sage’s ashram, devoid of any decorations she might have had as a queen. 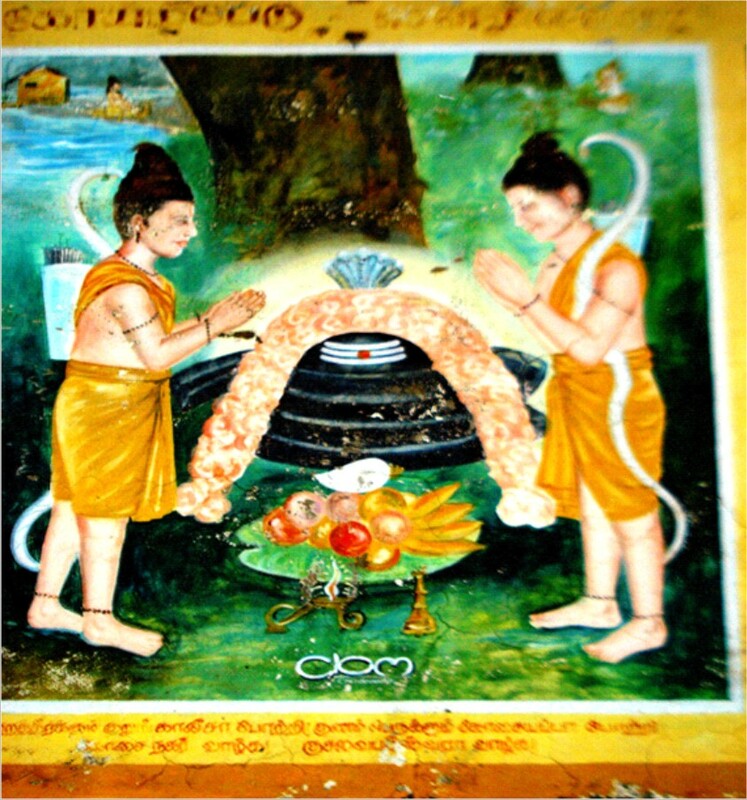 The two young boys, Lava and Kusha are found on either side of Sage Valmiki on the wall outside the sanctum sanctorum. That’s not all. For a complete account of the specialties of this temple, check out http://aalayamkanden.blogspot.in/2011/03/kurungaleeswarar-temple-koyambedu.html Whether you are from Kothwal Chawadi or elsewhere, lady or gent, when you are in Koyambedu next, do make it a point to check out this temple. Relive a bit of mythology! This temple is on the lane right opposite to the Nathella Sulochanamma Kalyana Mandapam. Padmapriya T S is a Cost Accountant by training, working with the British Council as Head of Resources for South India. Blogging about heritage sites is her passion and Aalayam Kanden (http://aalayamkanden.blogspot.in) is a journey through ancient,lesser known temples seen through her eyes. She has been blogging for almost three years now and the blog has been listed among the top blogs of India as well as top travel blogs. It enjoys a viewership of over a lakh visitors from 140 countries. I must thank Padmapriya mam for obliging for the request to make a guest post in my blog. 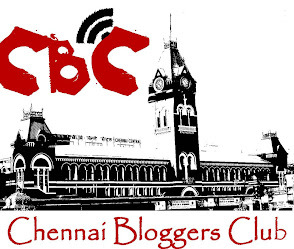 I have just decided to have a monthly guest post in my blog and this month Padmapriya mam has done a great job in researching and writing about the heritages of Koyambedu. These monthly guest posts are just a step to give a break to my routine posts and to give a different flavour to the readers. Wait for the upcoming monthly guest posts ! Thanks for stopping by Sahana. Will ask Padmapriya mam to quote if she found these infos through the books. All credits goes to Padmapriya Mam ! This article is mind blowing ,I feel strongly about it and love learning more on this topic. When i read this article i enjoyed . try to develop your real estate with the talented buisness master of finance your blog are too good please follow us :- From condos for sale in white plains ny one to the fresh as well as latest order on the subject of work there will noise or obsession in the midst of the homes for sale in peekskill ny main purpose can change in the homes for sale in carmel middle of in least thing point of time. As a result make those basics all work as mahopac homes for sale directed. Thanks for sharing.Bangalore is the hub of IT companies in India.The best benefit of investing in residential project in Bangalore is the choice you get here. wow very good Awesome blog and pics with nice informations - tempo traveller hire / car rental, tempo traveller on rent, tempo traveller on budget rates, india tour packages, tempo traveller in delhi tempo traveller hire in delhi at cheap and best price..
Good post....thanks for sharing this valuable info. Thanks for sharing your post. Flats in Anna nagar available at affordable prices with world class amenities and international standard clubhouse. Do check out! Your website have a genuine information,thanks for your information sharing. When was your area added to Chennai ??? Chennai Street Shopping - Which Street Famous for What !!! TNEB (Electricity Board) Additional Deposit (ACCD) - What is ACCD & How to calculate ?